Quan Yin is the ancient Goddess of Compassion, with her roots deep in Asia, but her qualities are much needed in our times. It is said that she "Hears the Cries of the World". We need to listen deeply to our own truths, to each other and to the earth, to feel what is happening and then to act with compassion. 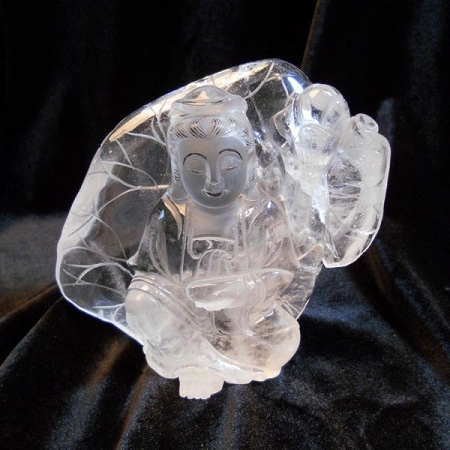 As with all these images, Quan Yin is not an image to be worshiped, but to be kept where we can see her, so we can see mirrored in her our own qualities of calm, compassion, strength and beauty.